One hundred words that speak well of Mexico and that tell a magical travel experience in Riviera Nayarit are enough to win a luxury vacation. It’s that easy! 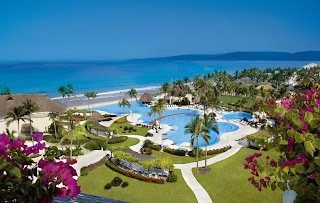 In June 2011, Grupo Velas Resorts Mexico launched a new campaign that invites international tourists visiting Riviera Nayarit to become “ambassadors” of good news and to share their travel experiences in the destination known as Mexico’s Pacific Treasure, by telling a story that will be promoted through social networks. “Share your experience and be an ambassador” is the name of this innovative campaign that will reward 12 participants with four-day and three-night all-inclusive luxury stays. Magical, surprising, cultural, exotic, luxurious and very natural: this is Riviera Nayarit. Becoming an ambassador of our destination – with its amazing landscapes and cultural wealth that can enamor anyone – is only a matter of visiting and exploring its most enchanting nooks. To participate, stories must include a positive message and must have a minimum length of 100 words, as well as up to three photos. To register your story, visit the Grand Velas Riviera Nayarit Facebook page (www.facebook.com/grandvelasresort), where you’ll find a custom application designed to help you publish your story. Prizes will be awarded through raffles among all registered ambassadors. There will be three drawings, one for stories published between September 7 and 30, 2011; one for those published between October 1, 2011 and January 31, 2012 and finally another one for those who share their experience between February 1 and May 31, 2012. One of the main objectives for the Convention and Visitors Bureau (CVB) of Riviera Nayarit in 2011 is to increase the online presence of our destination, due to the fact that the Internet is becoming increasingly influential in the purchase decision of international travelers, and is becoming the largest growing factor for hotel reservations. The online marketing efforts on social networks that the Grand Velas Riviera Nayarit is undertaking, including the “Share your experience and be an ambassador” competition, are an important asset to the promotion of our destination. Earlier this year, Velas Resorts Mexico and Riviera Nayarit had already put forward a contest in association with Aeromexico, which generated over 1,000 Twitter messages promoting our destination, which helped create important brand awareness among potential consumers. My husband and I always think of Grand Velas in beautiful Riviera Nayarit first when we think of a luxurious and relaxing vacation. The suites are fabulous, the dining is amazing, and the grounds are impeccable. We love to enjoy cocktails on the beach or by the pool, and the service is always wonderful. The spa is also top notch and cannot be beat anywhere. You are treated like a king at Grand Velas. The service is the icing on the cake. Bravo to the management and staff for providing a first class experience for every guest every visit. We are never disappointed and hope to return very soon! Excelente lugar!! Pasé mis vacaciones por tercer año consecutivo. Y pienso regresar para fin de año. Muy agradecida con la gente su hospitalidad, calidad en el servicio. Todo es genial en Grand Velas. Espero en un futuro no muy lejando dar cursos o conferencias en sus instalciones porque también para trabajar el lugar es excelente. Vanessa and Erika, thanks for the comments. In order to enter the contest please submit your experience to the Facebook Page of Grand Velas Riviera Nayarit (www.facebook.com/grandvelasresort). We all at Rivier Nayarit will be glad to have you back!